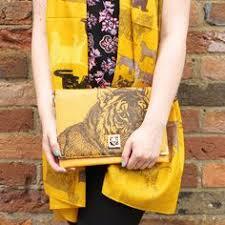 This Tiger Clutch is super designer and a fabulous Gift for Her! 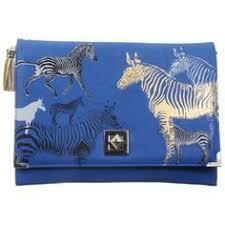 Make a statement and stand out from the crowd with this eye-catching clutch bag from Disaster designs. 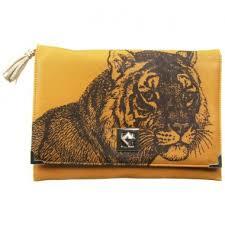 With a deep yellow background featuring a detailed tiger illustration, this bag are guaranteed to get noticed! It is made from faux leather and comes with the Heritage and Harlequin logo embossed on the back, along with a small gold tiger. The corners of the front flap have attractive gold detailing which matches the gold twist clasp used to keep the flap down. 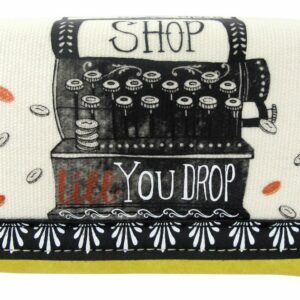 This also matches the gold zip and tassel used to open and close the bag. 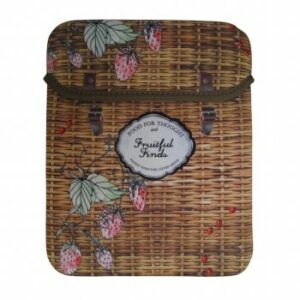 The inside of the flap is a contrasting pink colour, while the inside of the bag is lined with a charcoal coloured material, and contains an internal zipped compartment. 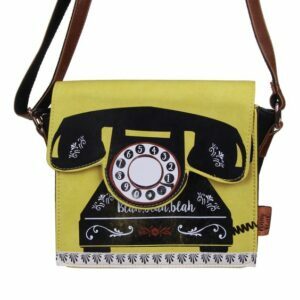 Included is a slim, yellow, detachable shoulder strap.